Between 2002 and 2007 the North Davis Sewer District (District) expanded and improved the liquid treatment portion of its Wastewater Treatment Facility to handle projected future flows and pollutant loadings resulting from growth through the year 2025. In 2009, the District began a Master Plan analysis of the existing biosolids processing facilities at the Wastewater Treatment Facility. 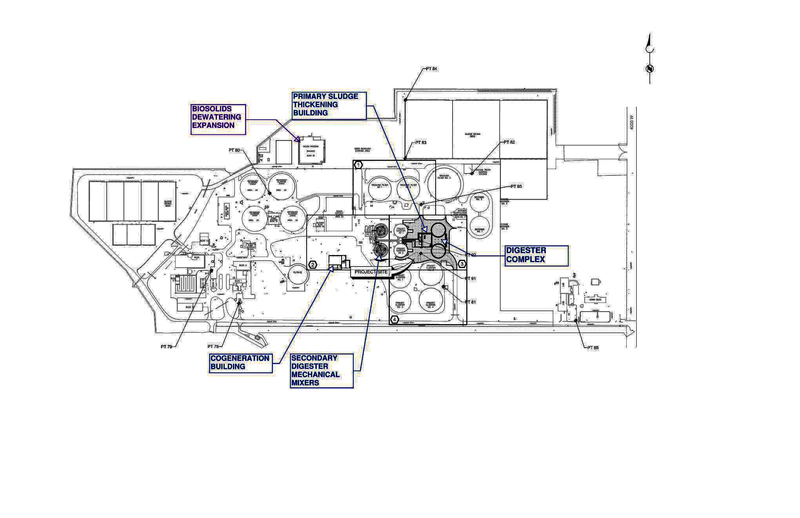 The analysis, completed in 2010, indicated that several of the biosolids treatment processes were over or at capacity and needed to be expanded and improved to handle current and projected solids produced by the liquid treatment process. To address the capacity issues, many alternatives were evaluated based on their technical merits and costs. The approach was to identify and select the most technically sound and cost effective modifications to expand and improve the biosolids processing system to handle the projected future solids production over the next 25 years (i.e., to the year 2035). The recommended biosolids process improvements were broken into five projects to be completed between 2013 and 2020: Secondary Digester Mixing and Heating, Primary Sludge Thickening Building, New Cogeneration Facility, New Digesters, and Biosolids Dewatering Facility Expansion. Currently (2014), the first three projects have been designed and are in construction. 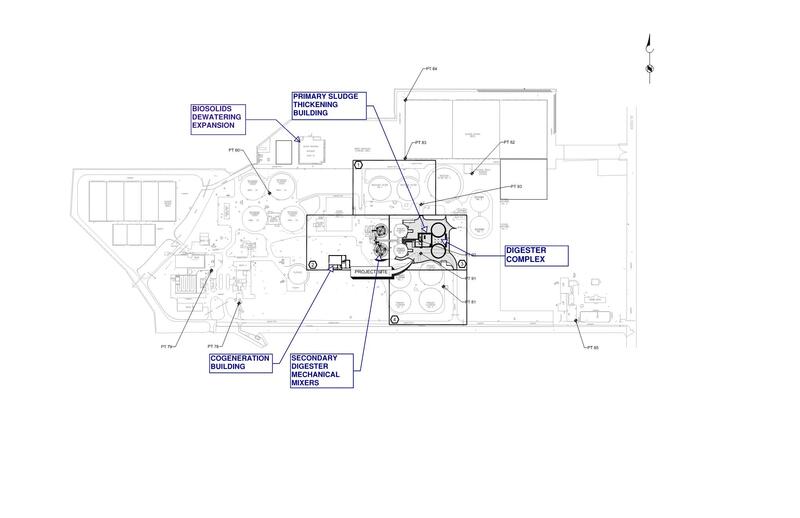 The New Digesters and Dewatering Facility Expansion, originally scheduled to be designed and have construction begin in 2018, have been delayed. The Board of Directors chose to delay these two projects as a cost saving measure. Click the plan below to view a larger image.